This article was posted on the Liberal Conspiracy blog. 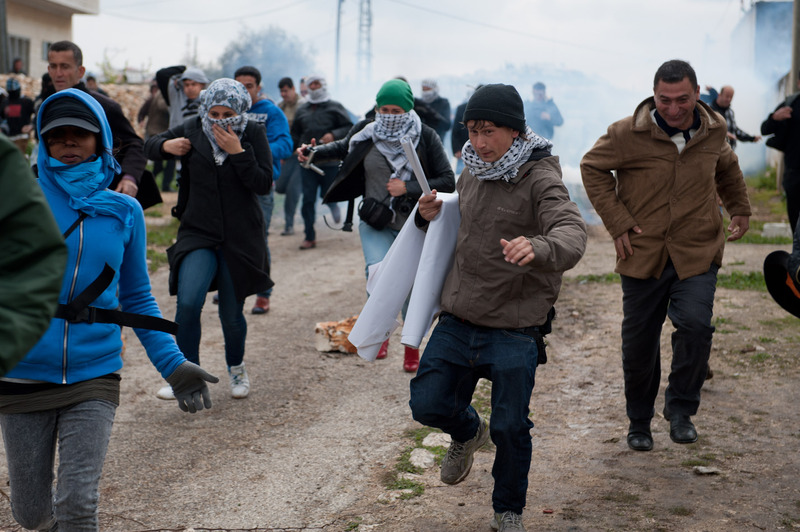 I was stood in the middle of an escalating protest against the Israeli occupation in the village of Kafr Qaddum. The air was thick with tear gas, panic was spreading as people were running in all directions to escape. In this commotion another round of tear gas was fired directly at the crowd. I saw someone meters from me collapse. A man caught him as he was falling and lifted him onto his shoulders. As he tried to escape other men came to help carry him. After a few meters they laid him down on the ground and it became clear he had been shot in the neck by a tear gas canister. This was the second person of the day to suffer this fate. In December 2011 the death of Mustafa Tamimi was caught on camera. He was killed by a tear gas canister fired by an IDF soldier from the back of a jeep just a few meters away. This incident caused international outcry. It was raised by Don Foster MP in a letter to the Foreign and Commonwealth Office and gained wide spread media coverage. Despite this extensive history I today witnessed another two Palestinian men being hit by IDF fired gas canisters. Despite IDF regulations stating that tear gas must be fired at a 60 degree angle I witnessed them repeatedly firing directly at the crowd. 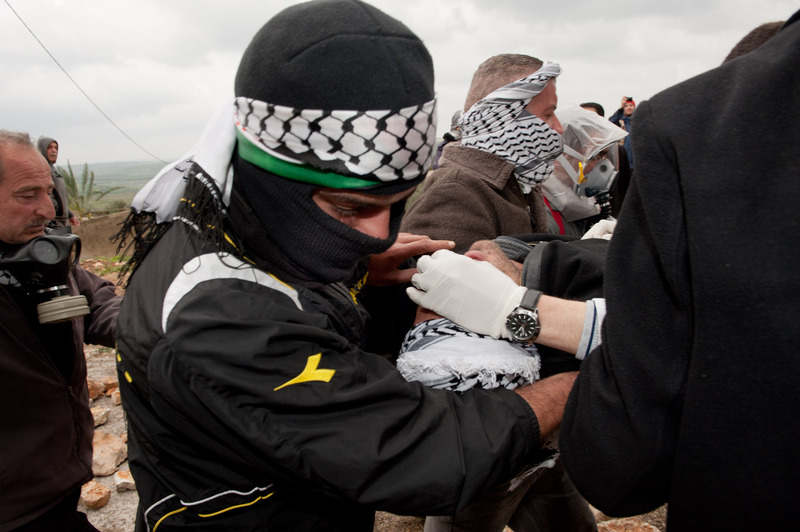 Not only does this violate the IDFs own regulations regarding the use of tear gas, it also violates International Humanitarian Law by failing to distinguish between civilian and combatant. 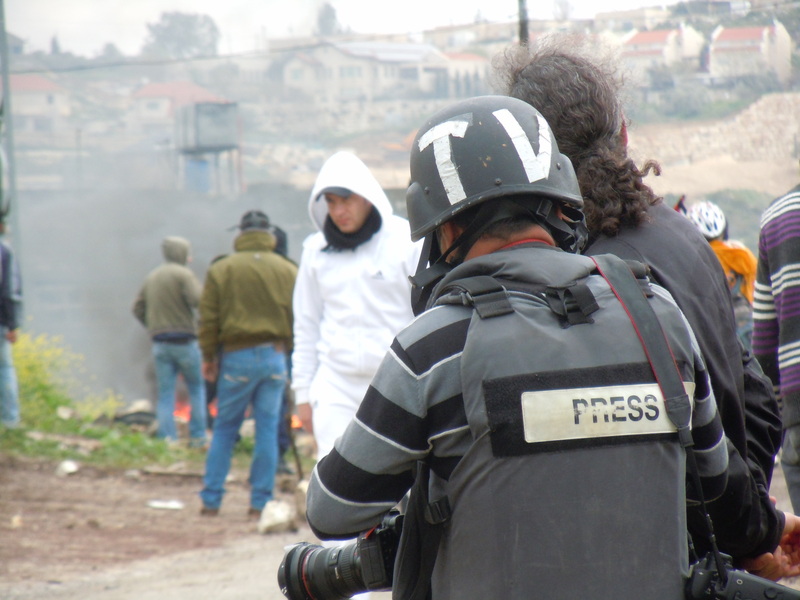 This however was only one part of the story of what happened at the protest at Kafr Qaddum today. The IDF tactics varied between spraying chemically produced water with a awful smell (aka ‘skunk water’, firing tear gas (at the crowd) and even using dogs to capture protestors towards the front. I was told that this boy had his arm broken by the dog before being arrested. This was the first time I had seen dogs being used at protests – a potentially worrying development. Thanks for this Steve – It is getting even worse. Sad how intentions of non violent protests are met with violence.